If you are thinking of extending your existing property or even considering a new build on a green field site, then Manchester & Northern can help you achieve your objective with a minimum of fuss. Manchester & Northern has over 25 years experience in delivering a comprehensive Design & Build service, which provides an easy and convenient solution for our Clients. 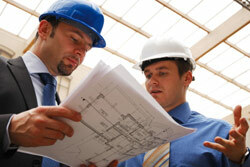 We have many years experience in dealing with the various planning departments throughout the North West. Through our thorough understanding of planning laws and local legislation we have assisted many of our Clients to obtain planning permission, even in instances where it was not thought possible. When using our Plan, Planning and Interior Design Service we will not only undertake to obtain planning permission but we take care of the building regulations and can provide a comprehensive interior design, including 3D images and ‘mood’ boards. Manchester & Northern provides a holistic partnered approach through which we are able to gain a greater understanding of what our Clients are trying to achieve from their project. Because Manchester & Northern do much more than just provide design/architectural services we can also carry out the works with our own skilled tradesmen, we can keep a much tighter control on costs, quality and timescales. The major advantage of our Design and Build services is that our Clients can leave all aspects of the project to Manchester & Northern, which allows them to carry on with their busy lives, in the full knowledge that we have it covered from start to finish. 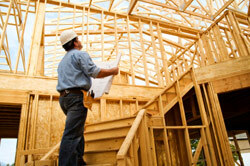 We prepare plans/designs and make submission to local authorities including dealing with issues that they may raise. Preparation of plans and construction details and make submission to Building Control including any structural design requirements. Prepare/design services layouts i.e. electrical lighting design, positioning of sockets, multimedia systems and heating/air conditioning. Prepare landscape drawings including suggestions for hard and soft landscaping including 3D images if required. Prepare 3D images and ‘mood’ boards for the interior to assist our Client in visualising the completed project and help with the final selection of finishes. Produce as fit manuals which would include all the details of the project including as fitted drawings. Clients can select any number of the above aspects of our services which suit their own unique requirement.